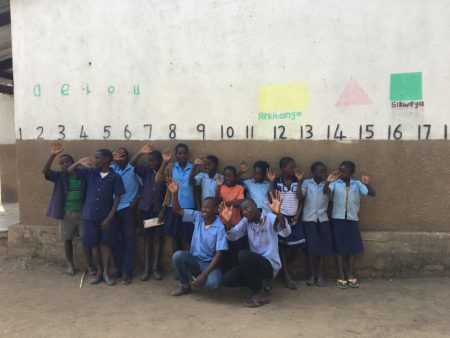 It has been a while since we have sent an update but the last few months have been very busy and exciting – so we’re pleased to send you the latest news from Malimba Community School. The first two school terms have been very eventful, from quizzes to sports- Malimba has participated in quite a range of events. In the first term, the school entered three interschool quizzes for Grade 1s, 2s and 7s. These quizzes took place in the ‘Zonal Centre’, near Mfuwe’s small airport through which most of the Valley’s guests arrive. 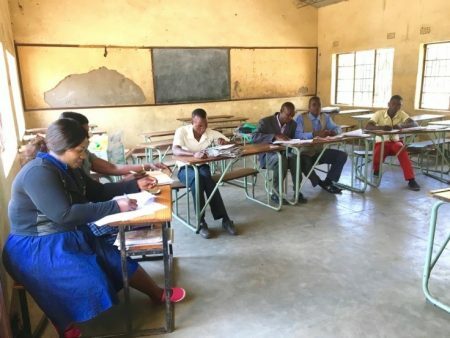 Many local school activities take place here and it’s often a scene of triumph for Malimba whose performance at sports and academic competitions has risen year after year under the capable and inspired leadership of Headmaster Mohammed Mphande and his staff of teachers and volunteers. Our lively Grade 1s entered the science, maths and literacy quiz and came FIRST! Congratulations to all for a wonderful performance! Our Grade 2’s came a very respectable second place in the Literacy Fair – well done to them and our excellent Grade 7s were also immensely successful coming out FIRST PLACE overall! We are proud of this great academic success for Malimba. Well done to all and keep up the great work. In first term Malimba sent teams to an interschool athletics competition between nine schools held at Mpata Primary School. The event took place over a weekend and students competed in a range of athletics including running, long jump and high jump. The weekend was a great success and highly enjoyed by all participants. Malimba’s competing students put in their best effort placing Malimba in fourth overall. The main event of second term this year was an Arts Festival held at Mambwe High School in which ten schools took part. The festival showcased different forms of artistic talents including drama, poetry and traditional dance. Malimba actively participated in each of these categories and as well as enjoying great success they found it very rewarding to be keeping the old traditions alive. The festival was thoroughly enjoyed by all those who took part, and everyone is hoping for a repetition next year.One of the biggest highlights of this year was the grade 7 end of year exam results. 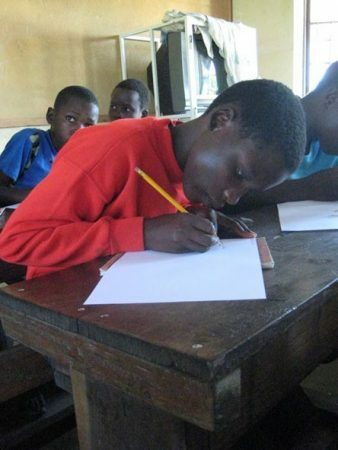 Malimba’s grade 7 students achieved an outstanding pass rate of 91.7%! This placed Malimba in 4th position out of 36 schools in the district. The school did so well that they received a letter of “Commendation for Outstanding performance” from the Ministry of Education. Before the school broke up for their August holiday the teachers sat down to discuss plans for the following term. They are developing a “sprint action plan”, which aims to improve performance by focusing on the child. Lessons have also started to be monitored, to make sure the teaching is as beneficial as it can be. 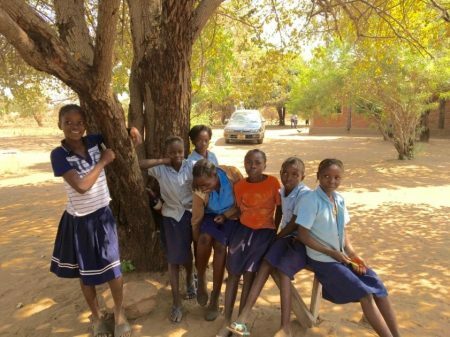 They hope with these new initiatives in place they can continue to improve next term. 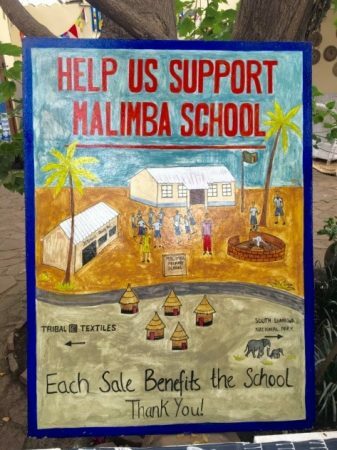 At the Tribal Textiles shop, there is now a new sign up to advertise the products sold in support of Malimba school. These include t-shirts and tea towels as well as pencil cases, purses and different styles of bags that are made out of Maize meal sacks. Maize meal is used to make a traditional Zambian food called Nshima, which is the daily staple diet eaten by most Zambians. The sacks are strong and durable, so they make the perfect recycling material for bags! 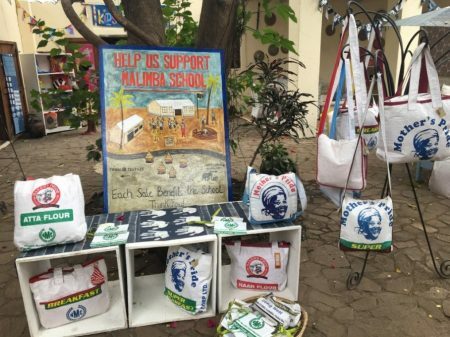 All profits from the sale of these bags goes directly to Malimba school. Thanks go to our donors and supporters without whom none of this great achievement would be possible. Tribal Textiles staff – who not only raise funds through sales in their shops but administer and oversee all donations from well-wishers.